This is the ninth painting of my café series. As I painted it I thought that it wasn’t going to work as it just seemed to be a series of rectangles. Then as I added the details the image started to look interesting. I also changed the colour of the central figure’s blouse which was blue and taken from another photo. I also added a glass of wine to start packing more colour into the central area and it seemed to come out better. 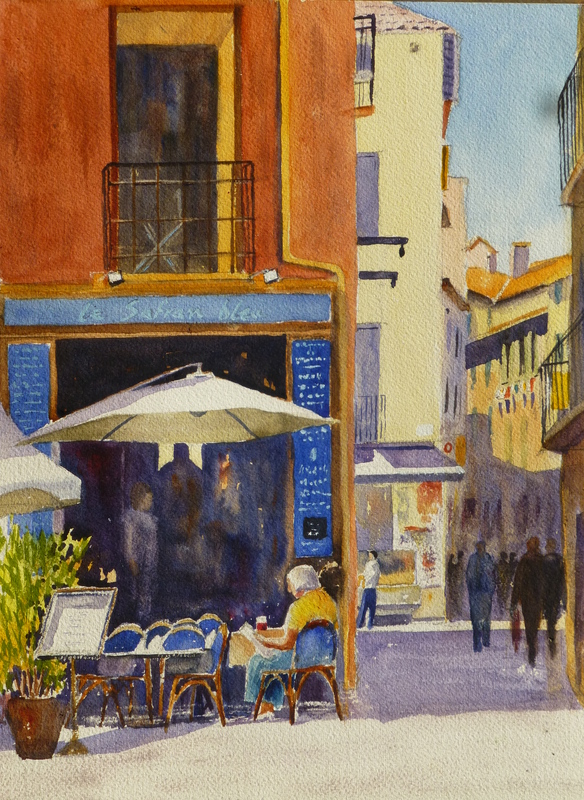 This entry was posted in cafe, France, watercolour and tagged cafe, France, painting, townscape, watercolor, watercolour. Bookmark the permalink.